We visited Montreal from Toronto to attend the Leafs vs. Canadiens game on April 6 and decided to do a tour of the city on Saturday afternoon. This was a great tour as it covered a large part of the city and we got to see things we wouldn't have been able to see if we had done a walking tour. It was a little frustrating that the tour left over half an hour later than it was supposed to because we had to get a bigger bus, but we still made it back in time to get to the game. Frank our driver did a great job navigating the busy streets and all the construction and our guide was very knowledgeable and did a great job with her commentary during the whole tour. Overall I would definitely recommend this tour to others. We really enjoyed it and learned a lot about the city of Montreal. We had a wonderful sightseeing tour guide and driver. It was a FULL packed 3 1/2 city tour of Montreal. Our driver Frank was so nice and smiling all the time =) Our tour guide Rafael was friendly, funny/corny!! and very knowledgeable of the city, both history and present. He was very customer interactive. He made restaurant suggestions which was also very appreciated. The bathroom breaks were very well timed! 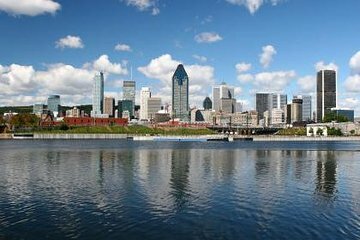 We would highly recommend this tour to get a great overview of Montreal, as well as points of interest to go back and visit on your own. 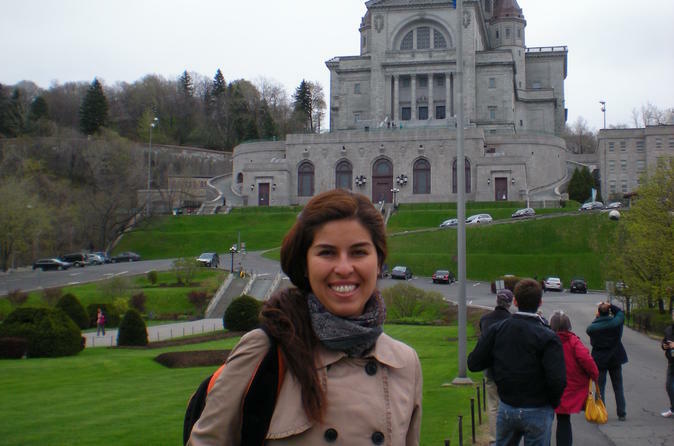 This is a great tour to take if you want to see the city of Montreal in all its colors. The tour was over three hours but we enjoyed it so much. The tour guide and the driver if I’m not mistaken their names were Frank and Ronnie entertained us through the whole tour. Excellent job. Le guide était très bien.la visite permet de découvrir montreal sur tous ses aspect.histoire culture. Très bonne idée pour avoir une idée globale de la ville avec un guide très dynamique. I picked English tour but the guide was speaking english then french. The tour dropped us in few places Which was not interesting and they skipped a very nice places. Tip was mandatory as the driver was waiting for us at the door to give tips. This is a good tour if you only have one day in Montreal. It shows you the highlights of Montreal, including St. Joseph's Oratory, Mont Royal, and the Olympic Games area, which you could not access on foot. It was a good choice for a rainy, chilly day in late October. The only drawback was that the guide's commentary was hard to follow because of his accent and his rapid speech. It was hard to tell when he switched from French to English. We made several stops however we were told to get out take our photos and come right back on the bus not giving us enough time at any one place. We should have at least been able to go inside Notre dame if nothing else!!! Bus driver Richard kept the tour bus in splits, with his witty and wise running commentary, of all the sights he took us to.... yep, he sure knows his history....now , his driving skills...I will need another 100 characters to describe that talent... let's just say he was good!!!! We thoroughly enjoyed this morning tour. Our tour guide, Vera, and our driver, Angelo, were wonderful. I would definitely recommend this tour to anyone looking for an excellent overview of Montreal.